CARRYING ALL THE TOP VAPE SHOP PRODUCTS NECESSARY TO SKYROCKET SALES IN YOUR SHOP! INSTANT VAPE SHOP FINANCING APPROVAL! FREE SHIPPING ON ALL ORDERS OF $450+ TO ANY STATE WITHIN THE CONTINENTAL US! CALL US AT 1-800-332-0916, LIVE CHAT VIA OUR WEBSITE, OR EMAIL US AT INFO@WHOLESALEVAPOR.COM! WE APPRECIATE YOUR BUSINESS! HAVE AN AWESOME DAY! Ripe Vapes is recognized as a premium brand of e-liquids with a sophisticated presentation, reminiscent of a fine wine. From our wine styled labels to our logo, our handcrafted juice is designed with the vape connoisseur in mind. The quality and branding of our product has secured a top position in thousands of vape shops across the globe. Direct leading supplier of top food grade, full strength flavor concentrates. Mass producer of U.S. manufactured flavors. We offer over 400 new and exotic all-purpose flavors that can used for Baking, Beverage, Cookies, Confectionaries, Ice Cream, E-liquid and more. We offer 100% all natural, Full Spectrum CBD products from Hemp. We offer some of the most competitive wholesale prices, with very LOW minimum order requirements. We partnered with one of the leading extraction companies in the United States, and are so proud to be distributing some of the finest CBD oil on the market. 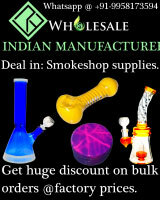 We are a manufacturer and distributor of wholesale smoking products with the best competitive pricing. Products on our website range from Water Pipes, Glass Hand Pipes, Acrylic Pipes, Oil Burners, Metal Pipes, Smoking Accessories, Vaporizers, Grinders, and Dugouts. Call us toll free at 1-800-926-3959. NOSE DESSERTS® Manufacturer of incense sticks with the highest quality! Since 1971 we have been world-wide manufactures and distributors of "Dipped in the USA - NOSE DESSERTS® Incense", USA made fragrance oils, incense burners, ceramics, fantasy giftware, smoking accessories and more. Eonsmoke sells Juul compatible pods and devices wholesale. Can't find Juul in your area? no problem. Our Juul compatible pods fit into your customers Juul device. We offer 6% and 4% nicotine 1ml pods. 4 pods come in a pack and 5 packs in a carton. Our flavor selection is Mango, Watermelon, Strawberry, Cool mint, Caffe latte, tobacco & a multipack. We currently stock: ***Manufactured in North America. *** *Multiple CBD companies, Oils/Tinctures, pets, edibles, Vape and topicals. (Adding more quality products monthly) *Multiple lines of Detox. *A full line of self testing kits. *Fetish Urine and Lube. 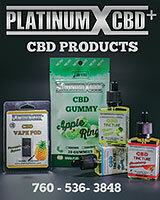 Platinum X CBD is a leading wholesale supplier of CBD products. We are dedicated to bringing the industry highly concentrated CBD products prices for great profits. We offer CBD honey, oils, isolates, edibles, pet products, and more. Greengate Marketing Group offers great tasting rolling papers for wholesale that come in a 24 Pack / 32 fine rolling papers and 32 filter tips. GoGreen Hemp has one of the most competitive wholesale programs on the market! We carry products such as Tinctures, Gel Capsules, Pet Products, Balm Salve, Wax Crumble, Pre-Filled Cartridges, & many more. We are manufacturer of E-Liquids ISO 9001:2015 Certified Quality management system. We offer a wide range of flavors including apple, blackcurrant, blueberry, grape, kiwi, and many more. We provide Analytical Lab results on impurities on all our products. We Work With Wholesale CBD Suppliers in the United States. Whether your needs are big or small we can meet any request within a realistic time frame. Since CBD is legal in all fifty states we've seen a lot of corner stores and other businesses starting to offer CBD oils, wax and edibles right at the counter. Our company was founded in 2016, bringing our customers the highest grade of CBD products on the market, such as oils, vapes, edibles, topicals, and pet products. All of our products are manufactured and sourced in the United States. Vaporins offers an alternative to traditional smoking. Our innovative technology offers the look, feel and taste of traditional smoking, but without the tar, tobacco, ash, smoke, or odor. We sell e-liquids, e-cigarettes, starter kits, and accessories. 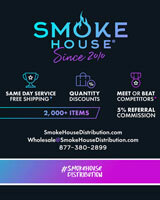 We are the primary distributor and supplier of electronic vaporizers and e-cigarettes to retailers and distributors across America. We carry Smoktech, Joyetech, KangerTech, Vision, Efest, Innokin & NiteCore. 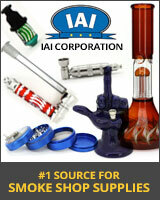 We maintain the largest inventory of vapor products and electronic cigarettes in the USA. Located near LAX, Vape In The Box is an importer and distributor of smoking products, general merchandise and vaping accessories. Customer service and satisfaction guarantee. We beat any pricing on these brands: RAW, SMOK, YOCANTECH, YOCAN, ATMAN, WAXMAID, MXJO, IMREN, KANGER and more. 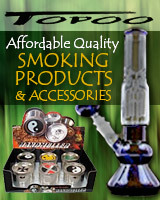 Dispensary supplies, smoke shop supplies and much more!